Cary, NC – For years, Cary has been abuzz about Annelore’s Germany Bakery opening a location downtown. 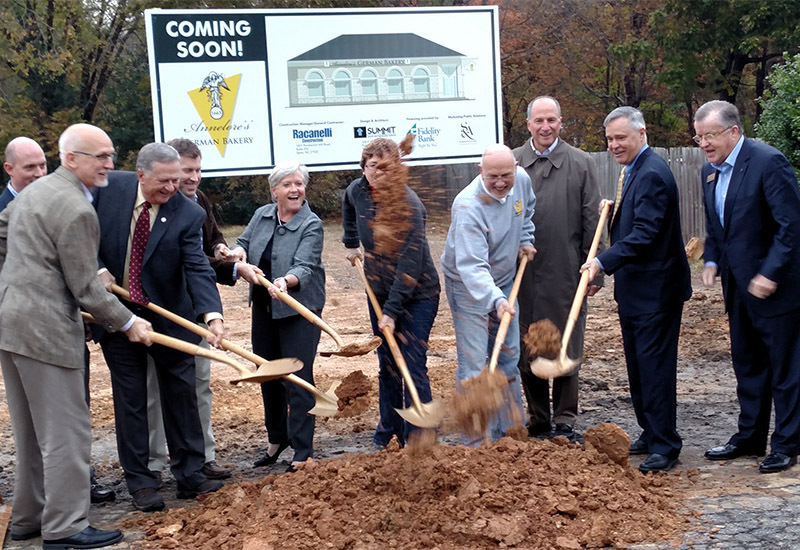 Now, with their official groundbreaking ceremony, Cary residents will soon not have to wait for the farmer’s market to enjoy authentic German baked goods in town. 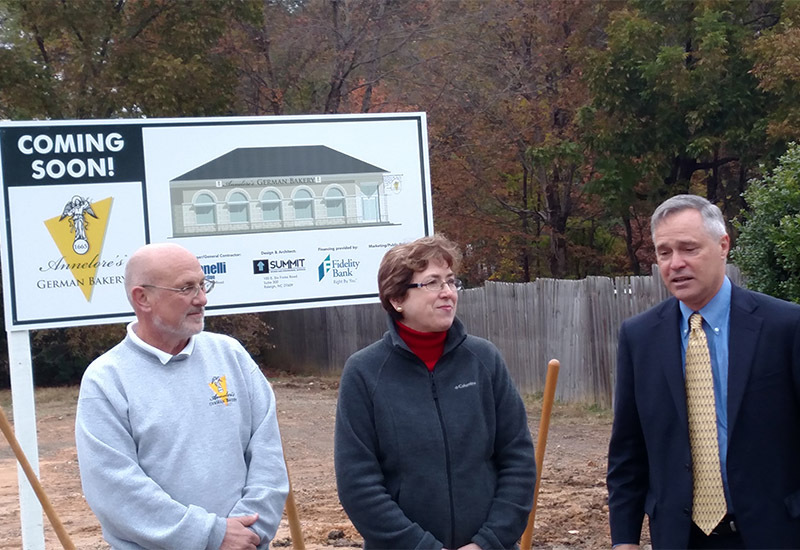 Town staff, Cary councilmembers and state representative Gale Adcock joined members of Cary’s Chamber of Commerce and other interested parties at the future site of Annelore’s German Bakery on West Chatham Street on a cold Monday on November 14, 2016. 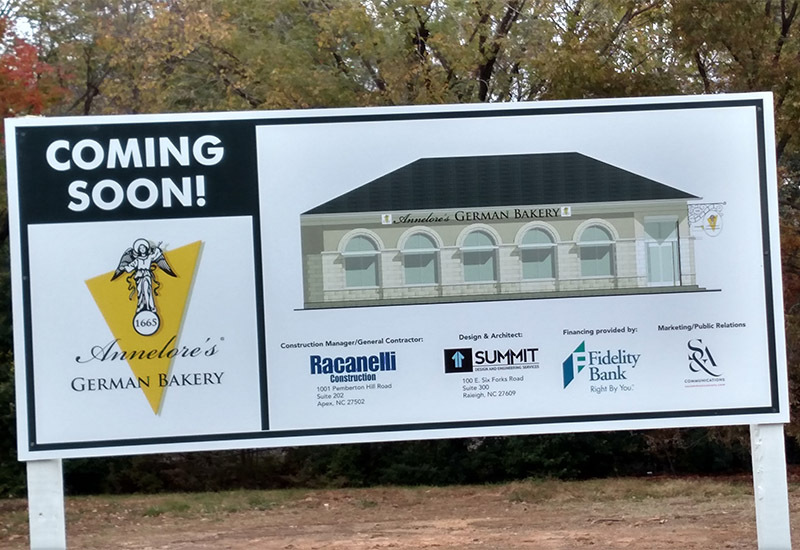 Norbert and Annalore Gstattenbauer got approval to open a second bakery location in Cary in 2012 but said they had their eyes on Cary for the past 10 years. “Our business has enjoyed so much popularity that we endeavored to build a brick and mortar business here,” Gstattenbauer said. Left to right: Norbert and Annelore Gstattenbauer and Randy Bossé. 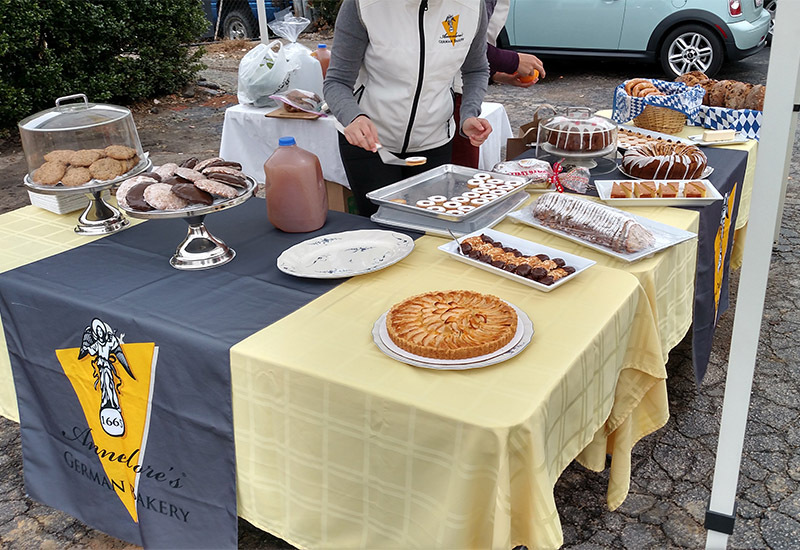 Annelore’s has another location between Agriculture Drive and Farmers Market Road in Raleigh but they have also been selling their traditional baked goods at local farmers’ markets and events such as Cary’s Food Truck Rodeo and Lazy Daze. Randy Bossé, who has been working with the Gstattenbauers to bring the bakery to downtown Cary said they have been heavy into the development process for the past eight months. “Our partnership had been going on about a year until we said enough’s enough and got started,” Bossé said. 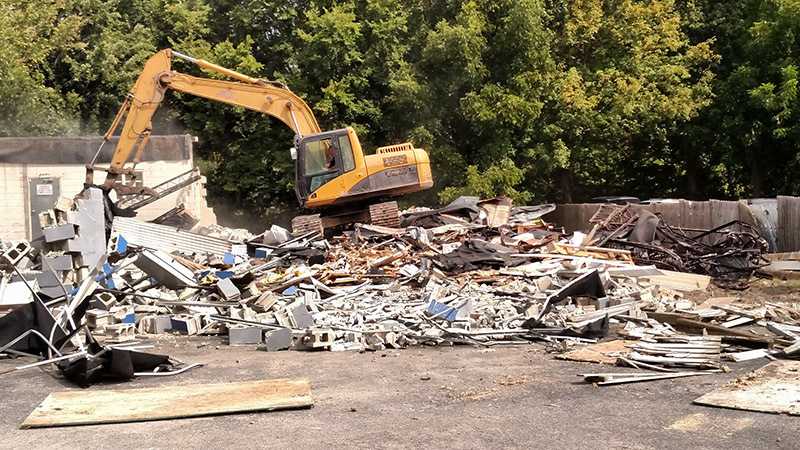 The previous building on the bakery’s future site, a former Carolina Mustang auto parts store that later moved to the adjacent property, was torn down on Wednesday, August 31, 2016. For attendees, Annelore’s Germany Bakery brought a variety of cakes, cookies and breads to let visitors sample what they will be providing once the bakery opens in downtown Cary. While using local fruits and honey, Annelore’s uses techniques that connect back to the bakery’s roots as far back as 1665. “Everyone asks when the German bakery is coming so considering they started in the 1600s, this hasn’t been that long of a wait,” said Ted Boyd, Cary’s downtown development manager. Speaking before the groundbreaking, Gstattenbauer said Cary has been very supportive and said the bakery would be bringing more than just economic development to the community. Also speaking at the event were Cary councilmembers Jack Smith, who was born in Germany, and Ken George. State representative Gale Adcock also spoke, mentioning how when the plans for Cary’s Annelore’s first started, she was still on the Town Council. Before the groundbreaking began, an auspicious passerby stopped at the sample tent and tried to buy some of their goods. “That’s a very good sign,” Gstattenbauer said. Annelore’s German Bakery will be open on 308 W Chatham St.